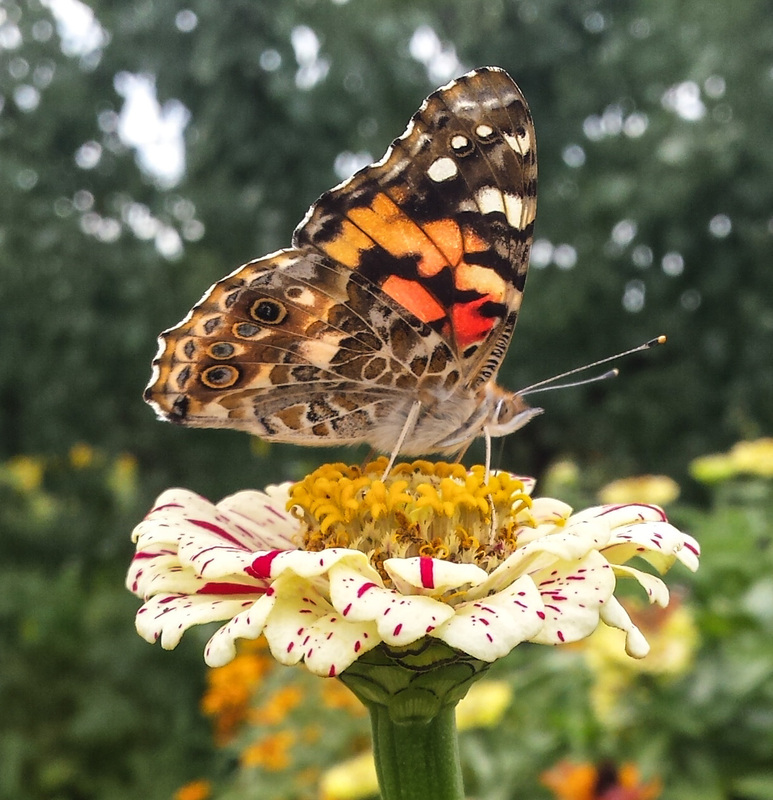 You can help these butterflies on their journey south by making sure that you have flowers to provide them with the nectar they need to fuel their long journey and keeping these flowers free of pesticides. 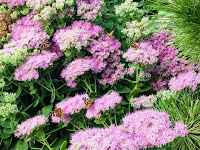 According to butterfliesandmoths.org these butterflies prefer nectar from composites 3-6 feet high, especially thistles; also aster, cosmos, blazing star, ironweed, joe-pye weed, red clover, and milkweeds. Many of these plants can also serve as food for the caterpillars if the adults make it this far north again next year. 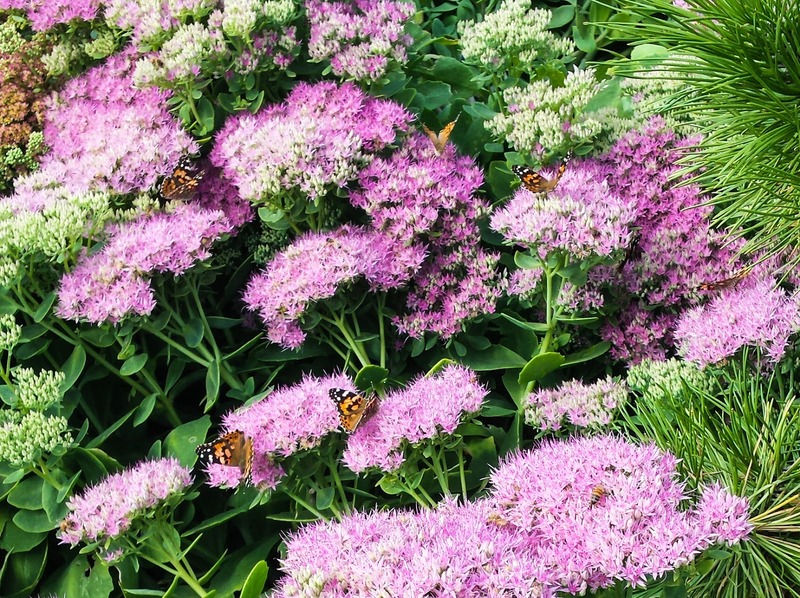 Unlike monarch caterpillars, which require milkweed, the painted lady caterpillars have been found on over 100 different host plants, but favorites include thistles and legumes. If you have not already seen them, a visit to a pollinator garden planted with a variety of blooming flowers is likely to reward you with a stunning showcase of insect beauty. 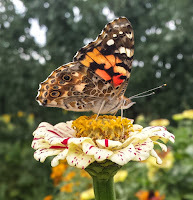 Here are a few links with more information about Painted Ladies.